Use the balls on any open area, indoor or out. One staff included to supervise. Ideal for a small party or event, or as addition to a bigger booking. 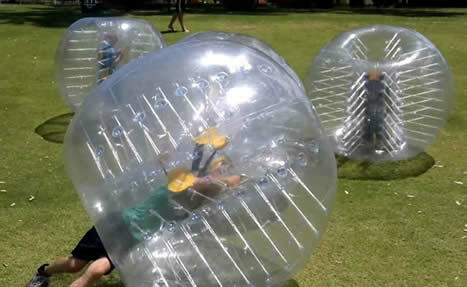 This is an ideal way to try out zorbing. 2 Zorb Balls for 3 hours – $300 plus GST.